A very pretty little girl, Storm will gracefully melt your heart! Her pretty little marked coat and gorgeous to die for blue eyes, Storm will make you fall in love with her from the moment you lay eyes on her. 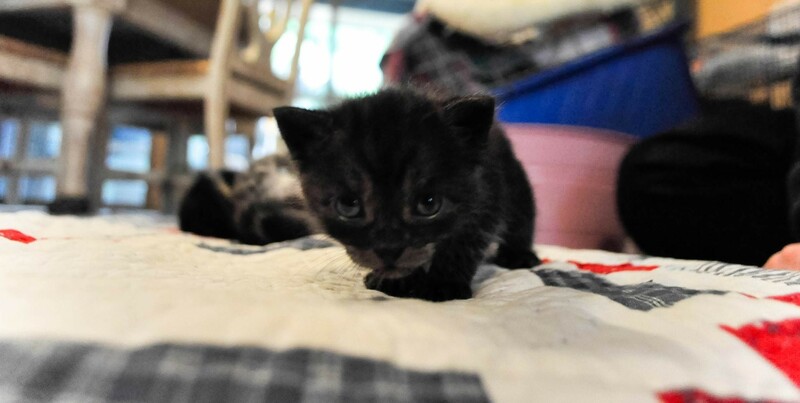 Little Storm is full of energy for such a tiny little girl! She was dumped at the pound with her littermates; Halo, Ghost, Donatello and (Sub) Zero and was found by pound staff inside a bucket that was left at reception. 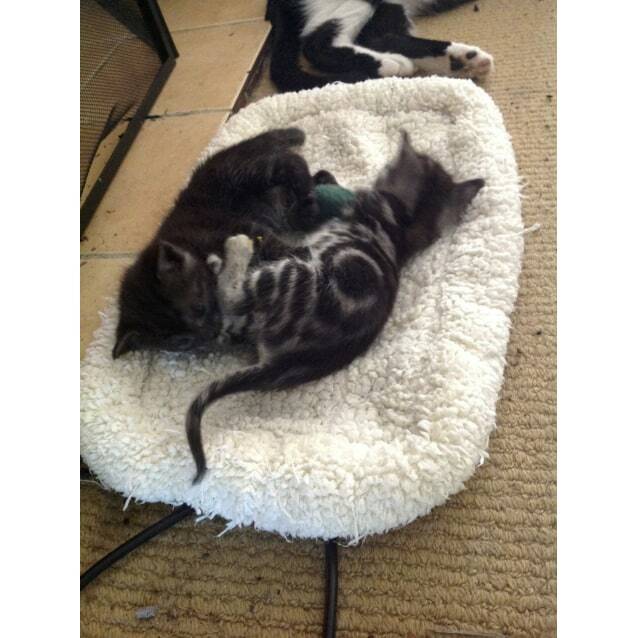 Saved from euthenasia only 4 minutes before closing time, Storm and her siblings are one lucky little bunch. 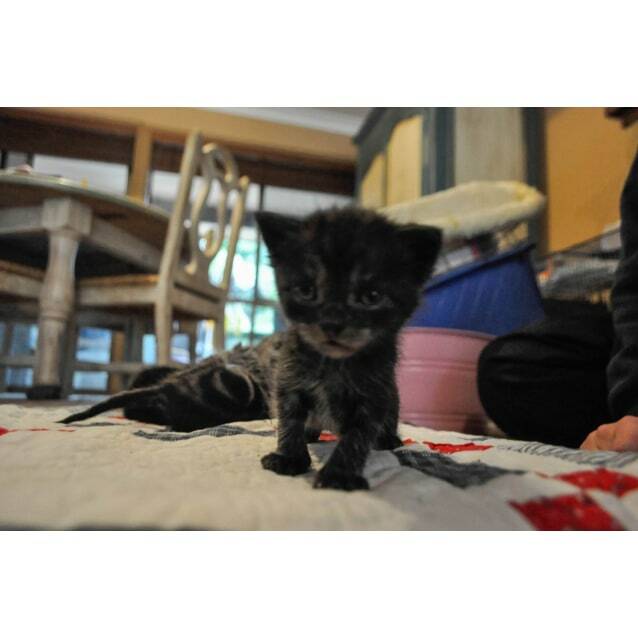 The kittens are currently 4 weeks old and will be ready for their new homes once they are at least 8 weeks. 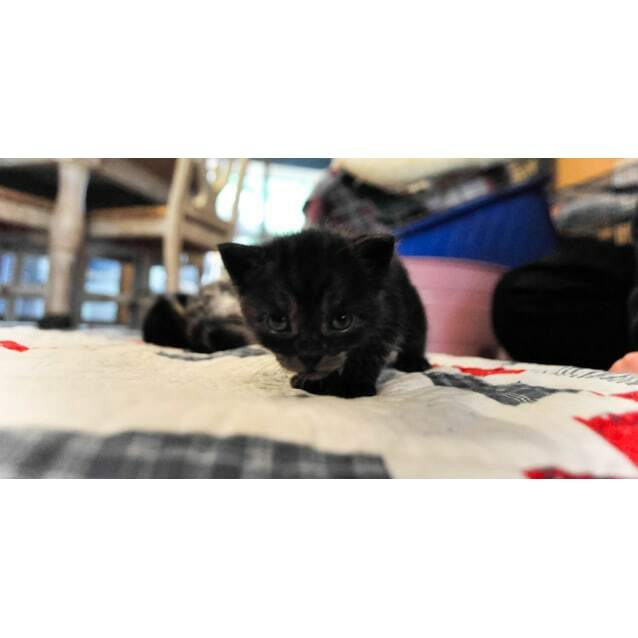 Storm is one happy, playful and a snuggly little kitten. While her personality is continuing to develop, however, it's expected that she's going to be one very outgoing and cuddly little girl. She's a big eater and eats more than you'd think for such a little thing! 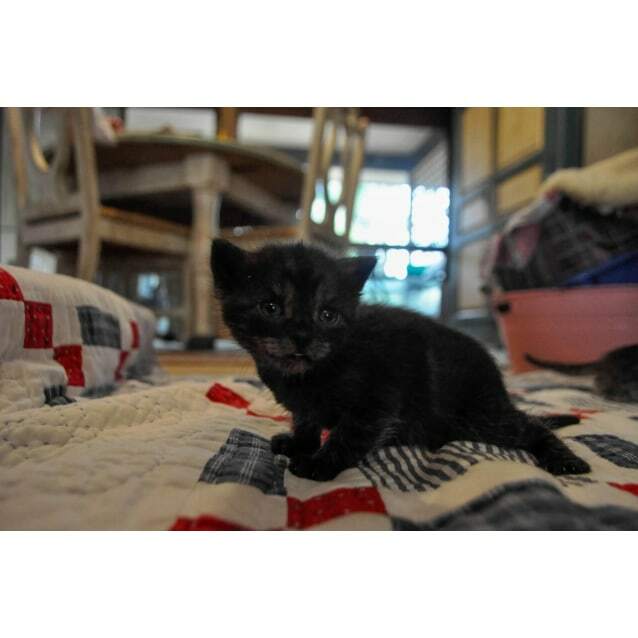 She's the runt of the litter but makes up for her little size in energy and presences \ She's happy, healthy and a kitten that you surely cannot miss! Storm's adoption fee of $200 covers her microchip, desexing, vaccination and health check(s). 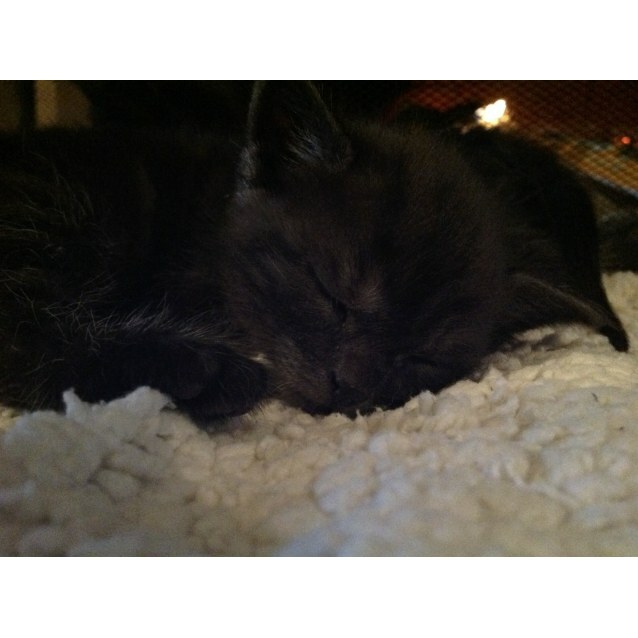 Storm will be available for adoption once she is at least 8 weeks old and has been desexed. Storm's ideal family type would be one with another cat (he has siblings!) or a cat-friendly dog.